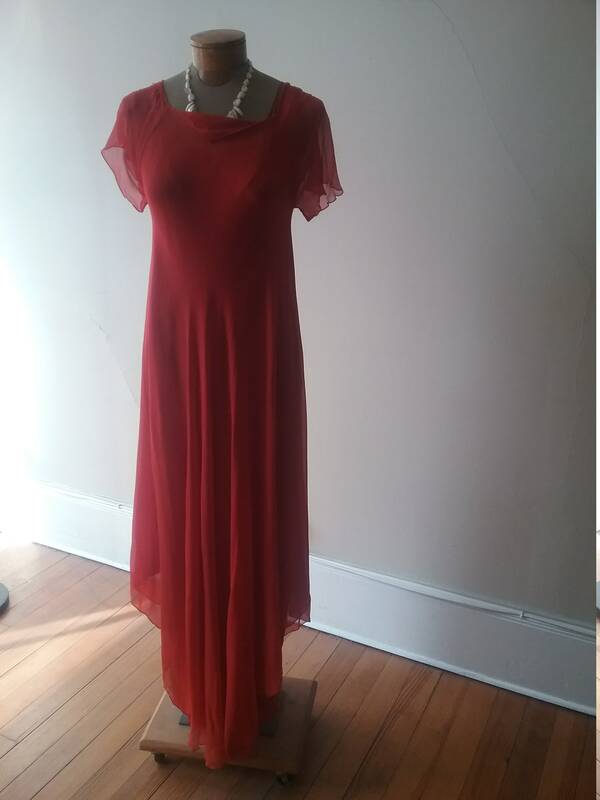 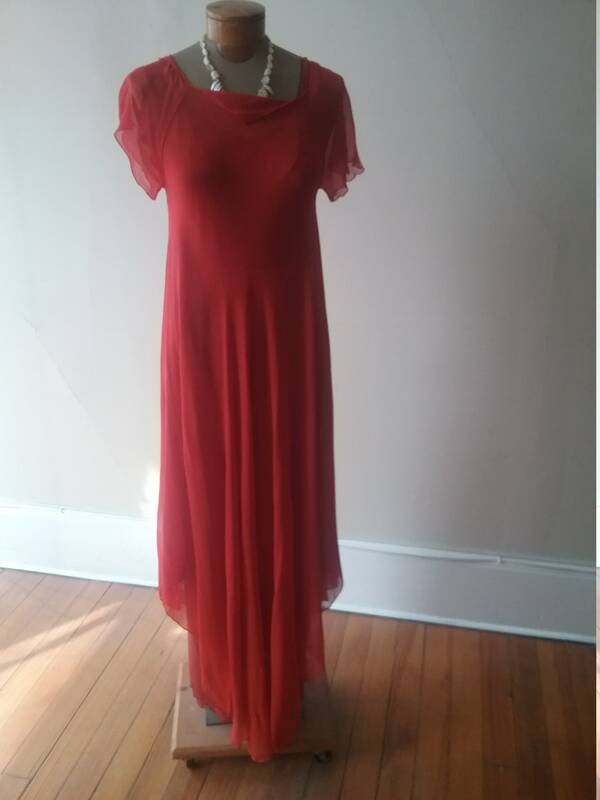 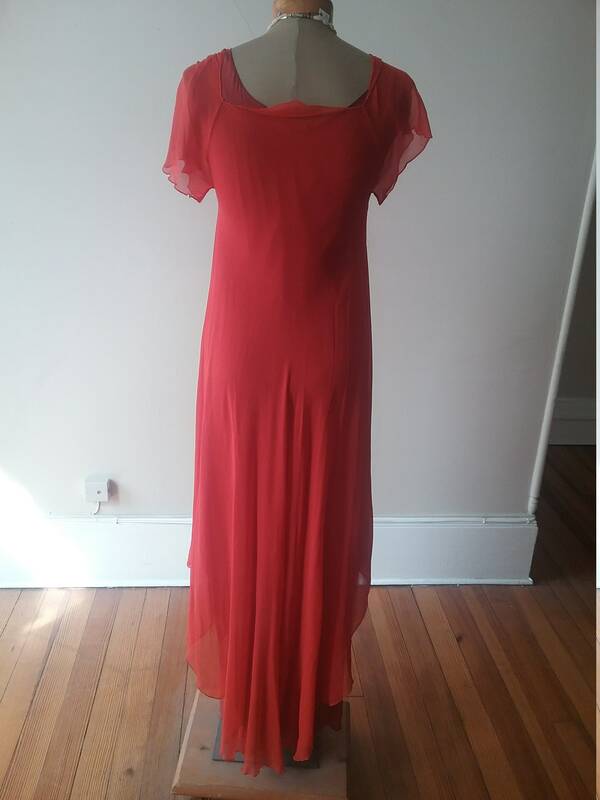 1990's, 36" bust, red silk chiffon, bias cut gown, with uneven handkerchief hem. 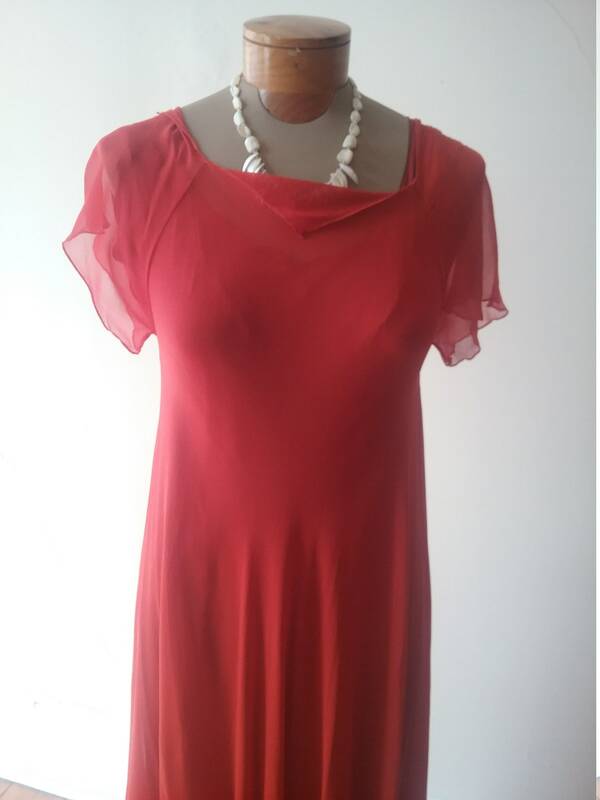 The neckline is open and pointed , with small cap sleeves. 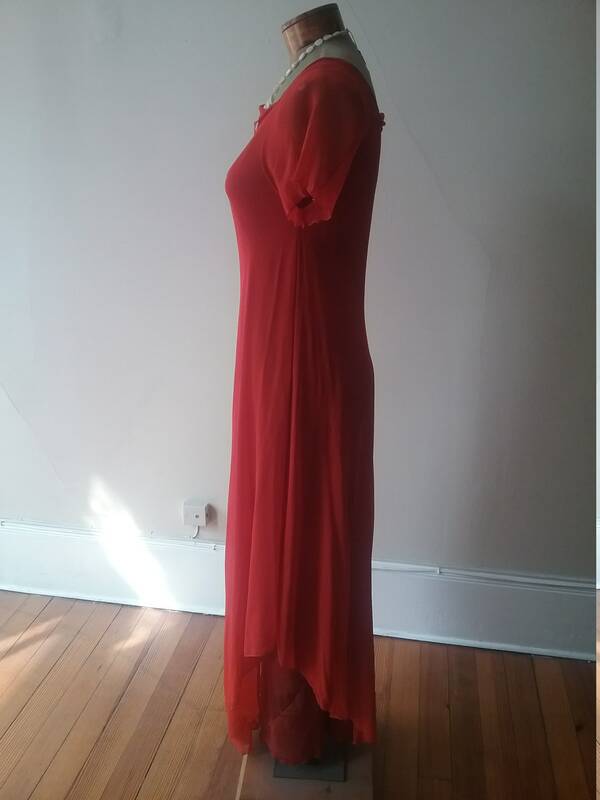 Shoulder to hem 51" , side hem 38"